What can the ‘Six Ps’ tell us about recruitment issues in palliative care randomised controlled trials? THIS MONTH’S EDITOR’S CHOICE FROM PALLIATIVE MEDICINE. 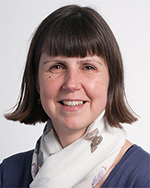 . .
Lesley Dunleavy, a PhD student at the International Observatory on End of Life Care, Lancaster University, UK, is using a social marketing approach to better understand barriers and facilitators to recruitment to palliative care randomised controlled trials. 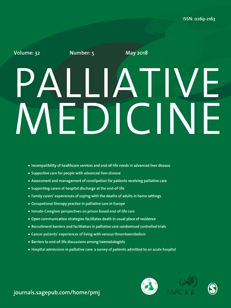 Here, Lesley explains the background to her longer article selected as Editor’s Choice in the May issue of Palliative Medicine. I am a nurse who has worked in the field of palliative care for most of my career. My interest in research has developed and, more recently, I have been involved in recruiting patients and carers to trials in palliative care both as a research nurse and a researcher. I have been involved in randomised controlled trials that have struggled to meet their recruitment targets. I worked on a symptom control trial and only managed to recruit one patient despite screening large numbers. I have had my own thoughts about why this may have happened but I wanted to learn more. These types of studies are necessary to provide a robust evidence base but are notoriously difficult to recruit to. I have decided to focus on recruitment issues in randomised controlled trials in palliative care for my doctoral studies at Lancaster University. ‘Identifying Participants’ which is defining your target audience. ‘Product’ which is the intervention. ‘Price’ which is the cost of taking part in the study for participants. ‘Place’ is where recruitment activity takes place. ‘Working with Partners’ relates to organisations or individuals who allow access to participants. For my own research, I am using randomised controlled trials as case studies to explore how healthcare professionals recruit patients and carers. To find out more about my research, please see the links below. Nichols L, Martindale-Adams J, Burns R, et al. Social marketing as a framework for recruitment: illustrations from the REACH study. Journal of aging and health2004; 16: 157s-176s. 2004/09/28. DOI: 10.1177/0898264304269727. Etkin CD, Farran CJ, Barnes LL, et al. Recruitment and enrollment of caregivers for a lifestyle physical activity clinical trial. Research in nursing & health2012; 35: 70-81. 2011/11/16. DOI: 10.1002/nur.20466. LeBlanc TW, Lodato JE, Currow DC, et al. Overcoming recruitment challenges in palliative care clinical trials. Journal of Oncology Practice2013; 9: 277-282. Rick J, Graffy J, Knapp P, et al. Systematic techniques for assisting recruitment to trials (START): study protocol for embedded, randomized controlled trials. Trials2014; 15: 407. journal article. DOI: 10.1186/1745-6215-15-407. The International Observatory on End of Life Care. Click here to download your free copy of this month’s Editor’s Choice article from the EAPC website. (Or visit the Editor’s Choice webpage and login in the usual way). EAPC members and registered users of the EAPC website can download all ‘Editor’s choice’ papers (and other EAPC-related papers) free of charge from the EAPC website. Choose Resources and from the left-hand side-bar choose Clinical & Care, Publications & Documents. Now LOGIN or REGISTER and scroll down to download articles. (Remember that it’s free of charge to become an EAPC registered user). This entry was posted in EAPC-LINKED JOURNALS, Palliative Medicine: Editor's Choice, RESEARCH and tagged Recruitment to palliative care randomised controlled trials. Bookmark the permalink. 1 Response to What can the ‘Six Ps’ tell us about recruitment issues in palliative care randomised controlled trials?